Phil and Priscilla arrived in Dayton, TX at the home of Paul and Joy Burwell at the end of February. The plan was to stay a month in Texas. First stop was north of Houston with the Burwells. The second stop would be Austin, and the final stop would be Brownwood with the Browns, but as has been par for the course this year, plans would have to be adjusted a bit. You read that right. 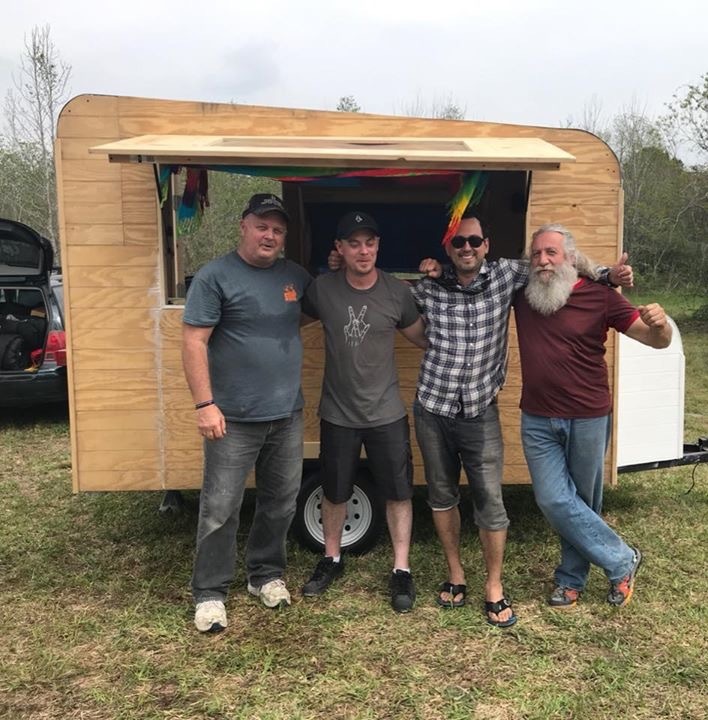 Once I arrived in Dayton, the Paul and Joy Burwell announced that Dayton, TX was going to burn – a regional Burning Man festival called Unbroken Spring was going to be happening in Dayton while I was in Texas. So, on my first Wednesday night in Texas, I went to church with Paul and Joy, but it was not the kind of church you would be familiar with. This was Burner church. 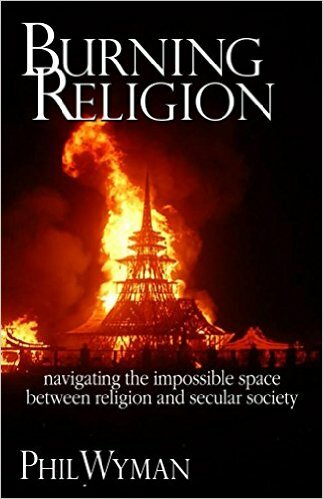 The Houston Burning Man community meets every Wednesday night to prepare for Burning Man and related events, and they call their Wednesday evening, “Church”. So, we went to church and we bought our tickets for Unbroken Spring. Meanwhile, Priscilla was leaking each time the sink was being used. Turned out that the water heater tank ruptured during the winter, and the hole was as big as my fist. 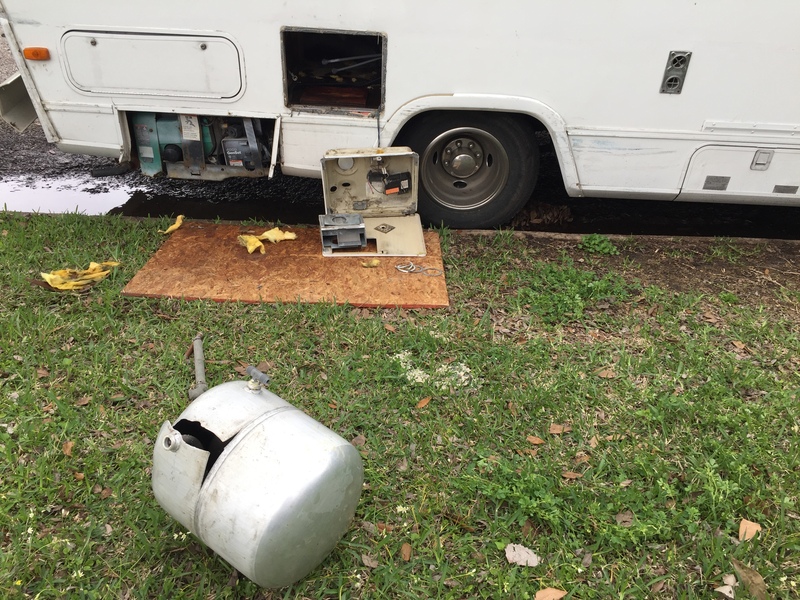 Of course, finding the correct water tank for a 27 year old motorhome with no model number still visible on the water heater is difficult, so Paul knew someone who could weld it back together, and now the hot water heater is back to working, and there is no more leaking – well, at least not at the water heater. 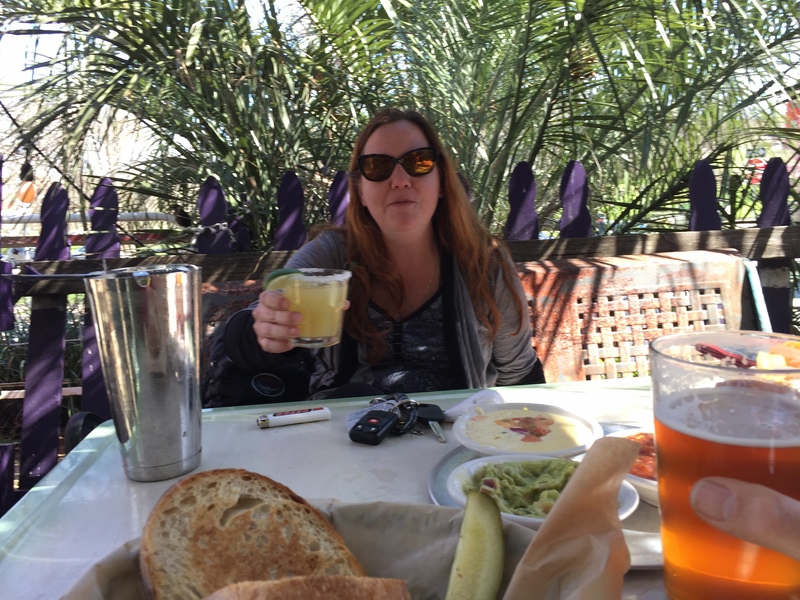 I traveled into Austin because – well, because it’s Austin, and I have friends who live there. So, I hung out with Cathryn Camissa, and was able to see Robert Watson-Hemphill, and met and had breakfast with Robert WH and Jimi Calhoun (who it seems I have been shadowing, without knowing it, for the last 30 years). Then I was able to catch a quick meal with Carrie Graham from the MultiFaith Matters team. I was there during the first part of SXSW, and it’s difficult not to fall in love with Austin especially during all the hub-hub of the big festival season. One amazing evening, Mike Clawson picked me up, and there was a not-so-small gathering to discuss “Burning Religion” with beer and food and some really smart friends of Mike’s from Austin. Mike, you rock! Thanks for making that event happen! 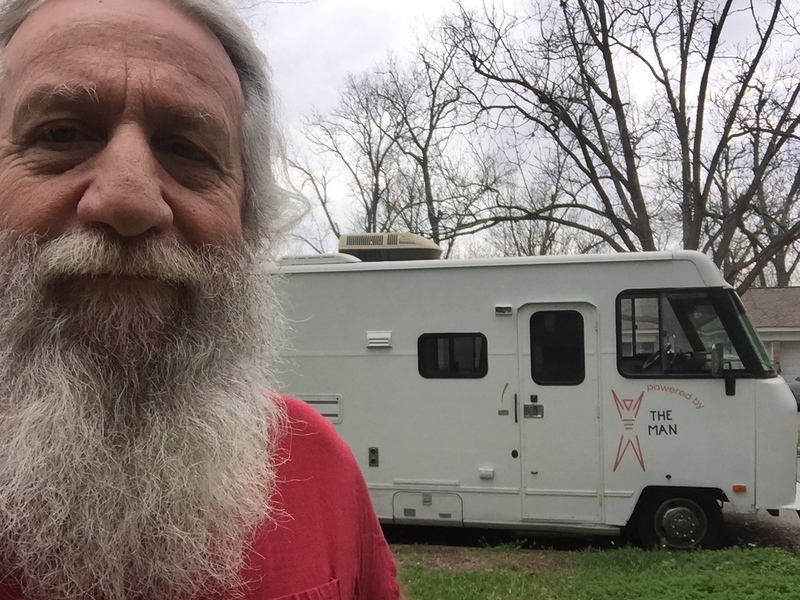 After a little less than a week in Austin, it was time to return to Dayton, and get ready to go to the regional Burning Man event – Unbroken Spring. Paul and Joy Burwell and I headed out into the sticks, which was only 6 miles from their house, for the 4 day Burning Man event. This was Paul and Joy’s first Burn, and they were perfect for it. New friends and relationships with Houston Burners were formed and Paul and Joy were the perfect mom and pop to a group of the young Burners. On my way from Dayton to Brownwood to hang out with the Browns, Priscilla had a blow out on the inside tire on rear driver’s side. I was close to Gatesville and a couple guys in their work truck followed me in as I limped to the Walmart, where I spent the night. 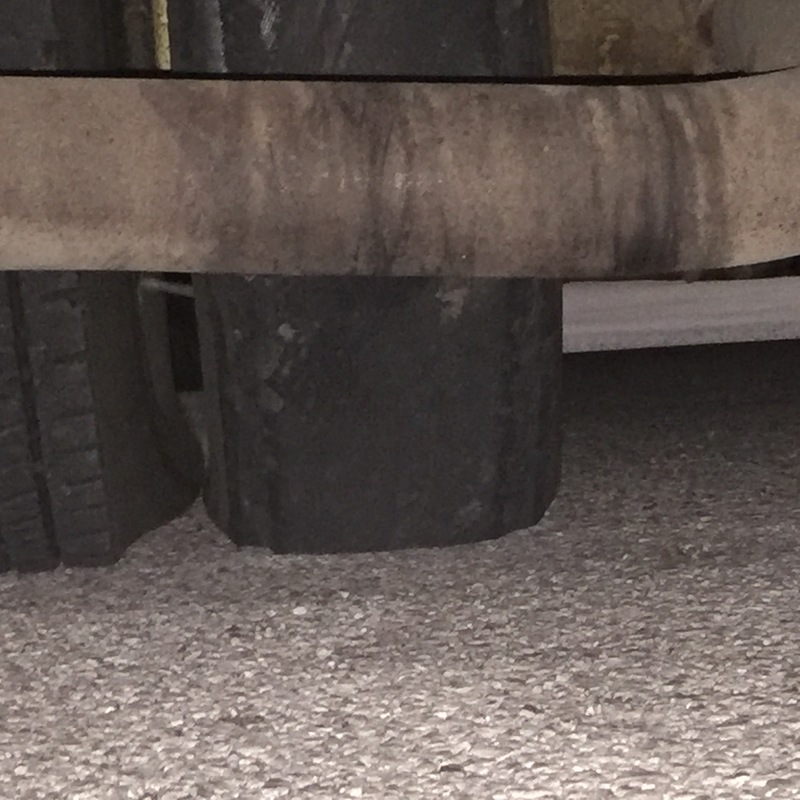 In the morning, with a little help from Walmart, and then a couple different tire shops, I was back on the road with two new front tires, which I desperately needed, and a new spare tire. It turned out that my blow out tore some of the plumbing out from under Priscilla, and now I am having to repair the underside. I landed at the home of David, Sandi, Shalom, and Zoe Brown and Christopher Gaston. David is helping with quirky things on Priscilla – like the plumbing break, and the fact that I have high-beam headlights but no low-beams – which has turned out to be a mystery. We’re glad you came to stay with us. Thank you for enlarging our world and for sharing yourself with us and our family.